Tuna are fished in over 70 countries around the world. According to the Rhode Island Sea Grant, the United States is one of the largest tuna consumers. The United States uses over 31 percent of the total amount of tuna caught around the world. 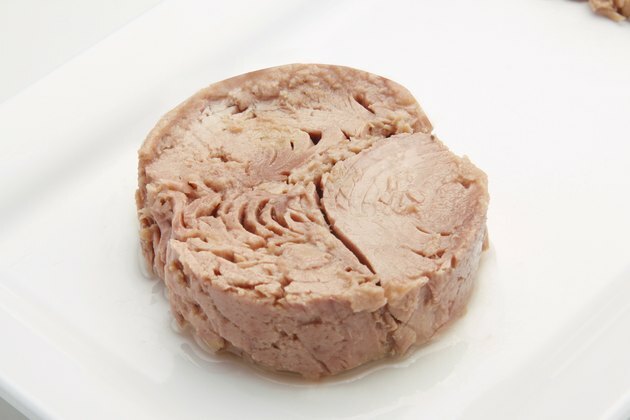 Both tuna canned in oil and tuna canned in water can be a low-carbohydrate, high-protein addition to a healthy diet. According to the United States Department of Agriculture, there are 109 calories in a 3-ounce serving of tuna in water. Tuna in oil provides slightly higher calories at 158 calories per 3-ounce serving. Both varieties are considered moderate calorie choices, according to the Food and Drug Administration, making up only 5 to 8 percent of a 2,000-calorie diet. Tuna packed in water provides 2.5 grams of fat per serving, while tuna packed in oil provides 6.8 grams of fat. The oil used in packed tuna contributes about 4 grams of fat, 1 of which is saturated fat. It also contains about 2.5 grams each of polyunsaturated and monounsaturated fats. According to the American Heart Association, unsaturated fats have been shown to help lower cholesterol levels and decrease the risk of heart disease. Tuna is considered a carbohydrate-free food. Both tuna packed in oil and tuna packed in water are free of sugars, fiber, and all other carbohydrates. Carbohydrates are important sources of energy and are needed for the body to function properly. Be sure to include sources of carbohydrates at meals to stay healthy. Foods rich in carbohydrates include fruits and whole grains. A 3-ounce serving of tuna, whether packed in oil or water, provides about 20 grams of protein. The protein found in tuna is considered to be a complete source of protein. Complete proteins provide all of the essential amino acids needed for your body to function properly, according to the Centers for Disease Control and Prevention. While protein needs vary depending on age, gender, and activity level, the recommended daily protein intake is approximately 46 to 56 grams per day for men and women over 19 years of age. This means that a serving of tuna can meet nearly half of your daily protein intake needs.